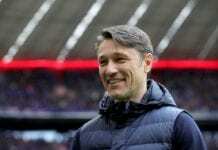 The Germany international first rose to prominence under Pep Guardiola at Bayern in the 2015/16 season before the Catalan coach left for Manchester City. While his normal position is at right-back, Kimmich’s versatility has won him many admirers with the 23-year-old being deployed in a central midfield role at Bayern this season. Due to this, Xavi is convinced Kimmich would be a great coup for Barcelona. “I spoke to Pep Guardiola, my ex-coach from Barcelona, about him,” Xavi told Bild at Bayern’s training camp in Doha, Qatar, alongside Kimmich. “I asked, ‘Who is the boy?’ He told me something about a man named ‘Kimmitsch’, whom I honestly had never heard of before. “Since that day, when I talked to Pep, I have followed your career. After all, Pep says that for a reason. “I knew right away, when I saw you playing, that you could become a great player. And that’s you today! He added: “You would be the perfect player for FC Barcelona! “In my career, I have always kept my eyes open to find players who would suit Barca well. “As previously with Philipp Lahm, Joshua Kimmich could without any problems play at Barcelona. That would fit well. Before joining Doha-based club Al Sadd in 2015, Xavi was regarded as one of the planet’s greatest playmakers after managing 85 goals and 181 assists in a staggering 769 games for Barcelona. 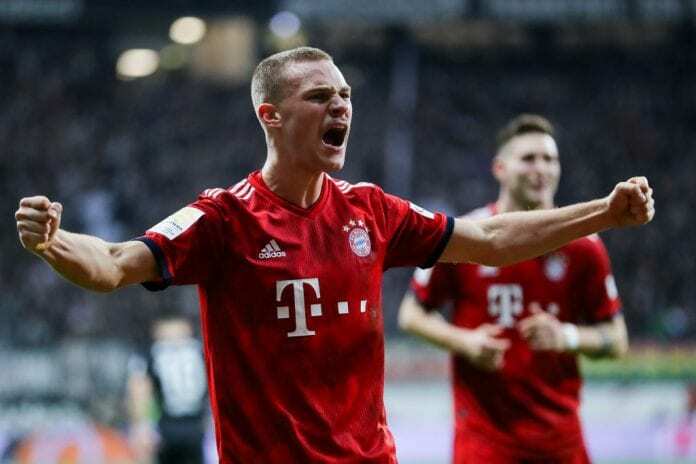 But the 38-year-old, who could retire from playing football this year, reckons Kimmich’s versatility could make him an even greater asset for Barcelona than what he used to be. “I thought before I met Joshua that he wanted to be a defender,” said Xavi. “But he already told me that he has another big wish. Joshua can play perfectly in midfield as a number six. “Definitely [he can be the next Xavi]. He can make the difference. “He can be one of the best players in world football in several positions, maybe he already is.